The Day You've Been Waiting For - Our Blueberries Are Ready! Picking season has arrived at Chautauqua Hills Farm! 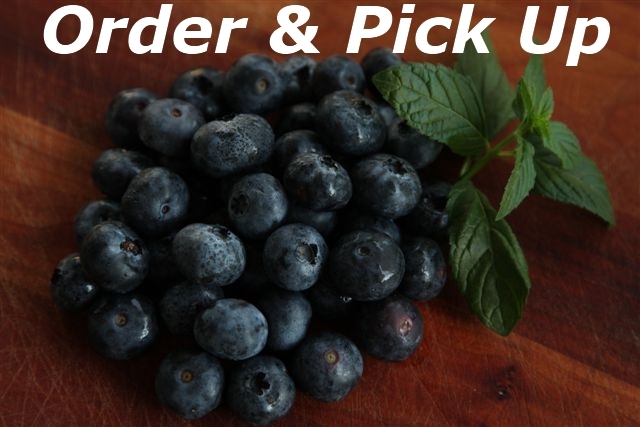 Read on to find out how to order and schedule a pick-up, or come pick blueberries yourself. Order Now or Schedule a Pick Time Online! It's the day we've all been waiting for -- the opening of berry season at Chautauqua Hills Farm! Starting today, our Berry Good Friends can once again place orders for pick up in Wichita or at the Farm or schedule a picking reservation online. Note: In a future newsletter, once our partner vendors at Farmers' Markets have berries to sell, we'll be sending out information about those locations and times. You can access Pick Your Own Calendar and Reservations here. You'll be guided to our customer sign-in pages and then on to our easy-to-use calendar to see what days and times Pick Your Own Reservations are available. From here you’ll enter in the details of your reservation such as the number of people in your group and what you want to pick. Once completed, you’ll receive a reservation confirmation email, which will contain all your reservation information and other helpful links. 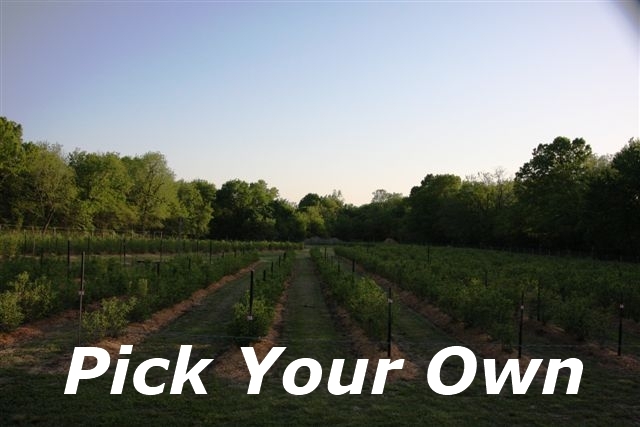 Pick Your Own Customers - Please Note: We operate Pick Your Own at Chautauqua Hills by reservation only. We do this in order to provide the best possible experience and offer the opportunity for each customer to pick as many berries as they wish. If you are coming to pick, please make sure you’ve made a Pick Your Own Reservation and received a Pick Your Own Confirmation email from us for you or your group. You can access Order & Pick Up here. We offer two forms of Order & Pick Up for our customers. For either, you'll simply place an order online for the berries you want, and go to the location specified below to pick them up when your order comes in. At the Farm: For Our Berry Good Friends who live near the farm, don't have the time or desire to pick berries themselves, but still want to know they’re purchasing their produce locally and direct from the grower. Piccadilly Market (Wichita - E. Central): A convenient location for Our Berry Good Friends in the Wichita area. We require between 7-14 days from the date of your order to pick them and make them available for pick up in the Wichita area. Feel free to place orders in advance and we'll begin filling orders in the order received! We're still assessing our Blackberries for ripening time and availability. We'll know more in about 1 week and will send out an update via this newsletter. As always, feel free to contact us at info@chautauquahillsfarm.com or call 620.249.3369 if you have any questions or comments about our Pick Your Own and Order & Pick Up. We’ve tried to keep it simple and yet be as helpful as possible to answer as many questions as we can. If you have time, feel free to forward this email to any friends who might be interested! Thank you and we look forward to hearing from you and seeing you at the farm. "Home of the Nickel-Size Blueberries!" Copyright © 2014 Chautauqua Hills Farm, All rights reserved.